Showing results for tags 'Williams'. Concert tonight at the Royal Albert Hall. Anyone going? With another two superb score expansions under his belt, Matessino appears to be steamrolling through the Spielberg/Williams collaboration like a freight train. With Spielberg and Williams both clearly invested in Matessino's assemblies, there's an obvious question: what next? Matessino has now expanded 8 of their 28 collaborations, with a further 4 previously expanded (incomplete) by other producers. 4 scores are apparently licenced to another label (the Indy scores). Assuming no scores from the last 6 years will see an expansion anytime soon (due to union fees or otherwise), which score do you hope Matessino targets next? Film Last Official Release Score Notes Sugarland Express N/A JW has vetoed release Jaws 2015 (Matessino, Complete) Complete Close Encounters 2017 (Matessino, Complete) Complete 1941 2011 (Matessino, Complete) Complete Raiders of the Lost Ark 2008 (Expanded, Incomplete) Concord still have the licence? E.T. 2017 (Matessino, Complete) Complete Temple of Doom 2008 (Expanded, Incomplete) Concord still have the licence? Empire of the Sun 2014 (Matessino, Complete) Complete The Last Crusade 2008 (Expanded, Incomplete) Concord still have the licence? Always 1989 OST Hook 2012 (Expanded) Expansion incomplete Jurassic Park 2016 (Matessino, Complete) Complete Schindler's List 1993 OST Sessions leaked (Incomplete) The Lost World 2016 (Matessino, Complete) Complete Amistad 1997 OST Saving Private Ryan 1998 OST OST practically complete A.I. 2015 (Matessino, Complete) Complete Minority Report 2002 OST Sessions leaked (Complete) Catch Me If You Can 2002 OST The Terminal 2004 OST War of the Worlds 2005 OST Sessions leaked (Complete) Munich 2005 OST OST mostly complete Kingdom of the Crystal Skull 2008 OST Sessions leaked (Complete) Tintin 2011 OST Too recent? War Horse 2011 OST Too recent? Lincoln 2012 OST Too recent? The BFG 2016 OST Too recent? The Post 2017 OST Too recent? Solo is being recorded in London right now so Williams theme for Han is already done. I guess that makes sense since it comes out in May. I'm actually excited to hear Williams' theme and Powell's score. Someone knows Czech movie The Elementary School? The film was nominated for the Academy Award for Best Foreign Language Film in 1991. In this movie is a scene where boys ride on bicycles and playing music variation on John WIlliams. E.T. Extra Terrestrial was a temp track. I think. Should Williams' Dracula (1979) score get a rerecording? I wonder if there is enough people out there that think this soundtrack should be rerecorded. The original release is ok but many want more. But do to the fact all that can be found is the mono track there seems to be no hope of originals. The score sheets exist and I am sure sketches do of it incase they are ever lost . The main question is if it does get rerecorded what symphony should do it and who should be in charge of it. Do you think Williams should/would return to this score or will he pass it to another. I would love to hear your thoughts/ideas on this! I personally would love to hear another recording of it with williams conducting with a new CD Release and a new blu ray with surround sound that rocks the new recording! Let me know what you think! How does Bruce Botnick mix his scores? I've been a lurker on this forum for a little while now and I'm amazed at all the wealth of the knowledge here! I'm sure many people here agree that engineer Bruce Botnick is one of the best, if not the best recording engineer for film scores. His work on Jerry Goldsmith's scores, Alan Menken's work, and especially my favorite from the maestro himself E.T., sound so clear and warm even compared to today's modern film recordings. I've always wondered: How does he achieve this? What is his "secret" if there's even one? Hi JWFan, I'm trying to locate where the original scores to Rhythm in Motion are located. Sources told me that UNT had them, but the librarian didn't know. Hoping to analyze them as part of a jazz research grant at my university. Cheers! john A Great Theme Mix!! 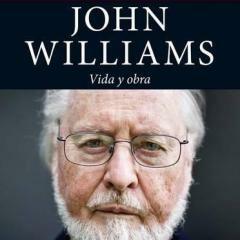 Does John Williams sign autographs? Not sure if this has been posted previously, but, it convinces me that I'm moving to Europe. BKL: Packing as we speak. Hey, so I'm not sure if this has been up on the site before, but I wanted to start something about comparing Williams' composing style (both concert and film) to other modern composers (Shore, Zimmer and his clones, Elfman, Silvestri, Howard, etc). I want to start this because I started a Film Club at my school, and I have some friends I'm introducing to the glory of film score (and Williams for that matter), and I wanted a good way (both layman and theory oriented) to explain them certain aspects. I am not trained in theory at all, and I'm just a young, teenage enthusiast of film scores, so I can't really explain the musical complexity (or lack there of) of film composers now a days. In fact, this whole discussion about what is better for film, what is better composing (for that matter) and who is better/has a better style and sound is a big debate amongst me and my musical/film friends. I just want some discussion and input from film score fans! The only thing I could come up with by comparing Williams to Zimmer clones is that Zimmer doesn't really develop this themes in his score (appearing in the same form in his soundtrack so that it seems very "tracked") and Zimmer is very liberal with his themes (Like why does The Black Pearl theme play when Will gets whipped? Is there symbolism? Or is it there to just sound cool?) So discuss and comment away! Anything is very appreciated! Also, just want to add, at one point I even said "Zimmer just uses repeating strings and low ostinatos behind a theme and repeats it over and over." I now know, that many composers do this, so I'm looking for a better way to word comparisons between Williams and other composers? Anyone else here a fan of his action/chase music? I love the musical complexity. So I'm trying to expand my John Williams library, so does anyone have any awesome selections of Williams Action cues? Comments on my new Composition please? This is a new song I created, for a "planned" movie. It plays as Alex Harper (a character based on Tintin) walks out of class clutching one-half of the treasure map that leads to a school treasure. However, Alex and his friends, Cassandra and Archie (archibald Haddock, anyone?) run into Allan, the school bully. They start arguing, and during that, Alex drops the paper, which is promptly picked up by an elementary student who runs off with it. Shortly, Alex and Allan find that it's missing and chase after the kid into the school fare. After Alex catches the kid in slow motion (Pursuit of the Falcon), the ruckus they have caused has caught the attention of Mr. Kaufman, the strictest teacher on campus, who confiscates the paper. This song is heavily influenced by Williams, and it was my first use of syncopation. It does sound very random at times, but that's because I was trying to emulate Williams' modern action cues. There are a few recurring motifs: Allan's Theme (Sounds a bit like the secondary motif in Flight of the Bumblebee) The Treasure Theme (Sounds like Zimmer's "Mermaids" combined with the Unicorn motif) Trio Fanfare, to represent Alex, Cassandra, and Archie (sounds a bit like the trio fanfare in "Pursuit of the Falcon") The Pursuit Motif (a syncopated group of notes that appears throughout the score) The songs that I received the most influence from are "Flight from Peru" (the beginning pizzicato) "The Basket Game" "The Snake Pit" "Flight to Bagghar" Enjoy! A collection of some words I've had for the older Maestro over the last few years: I still hold that much of his 2000s film works outside of Harry Potter and Geisha were significantly weaker than he's ever been. But Tintin and War Horse (War Horse especially) have made me eat my own words. The Maestro, by luck, or by sheer skill and talent has still got it. I genuinely believe that if my assessment that the maestro had run out of steam was true, he would not have been able to give us the two scores he has this year. I hear excitement and energy from him. With Tintin, yes I still hear the flurry of notes, but on the whole most notes seem to be there with purpose, something I think has been lacking in the past. War Horse on the other hand just outright proves my "all he does...spray paint notes" comment utterly wrong. It's a score where I cannot find a note out of place...where I cannot find a moment with too little or too much. It's just right, from beginning to end. From the emotional to the comedy to the action, it is supreme. It's perhaps too soon for me to label it (War Horse) as one of the top scores from the maestro just yet, we still haven't seen the movie. But suffice it to say.... I am pleased to have been proven wrong!